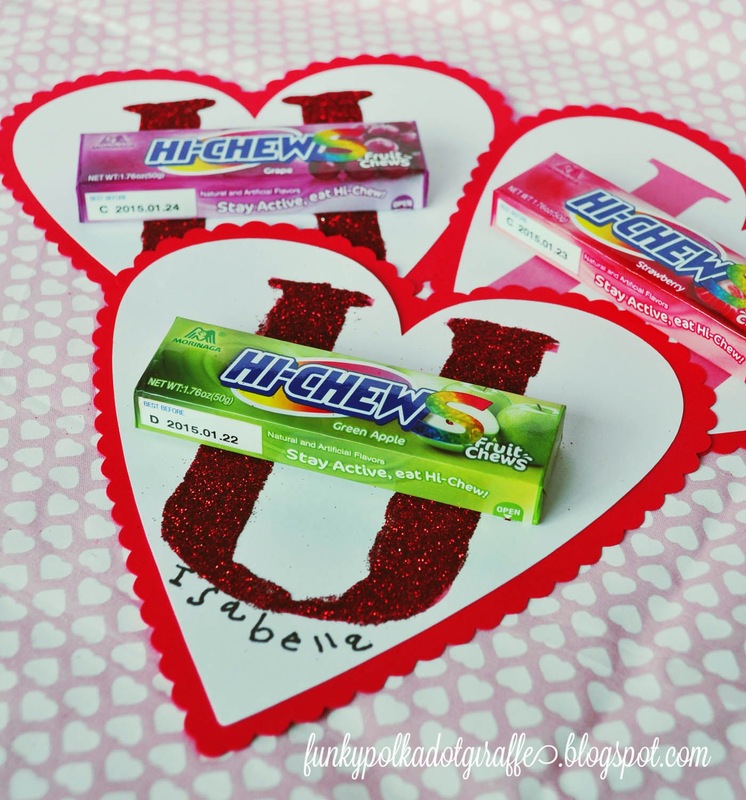 My little Isabella loves Hi-Chew candies. She has such a little sweet tooth, just like her mom. 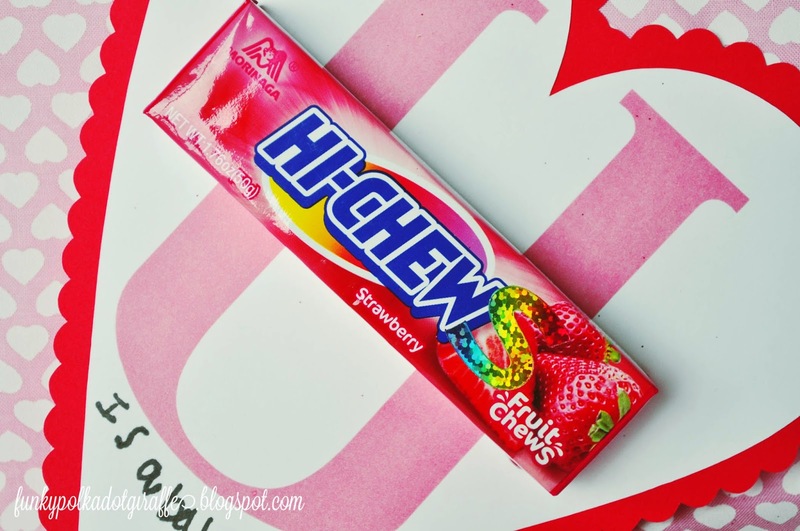 to use her favorite candy - especially since Costco sells them in bulk! 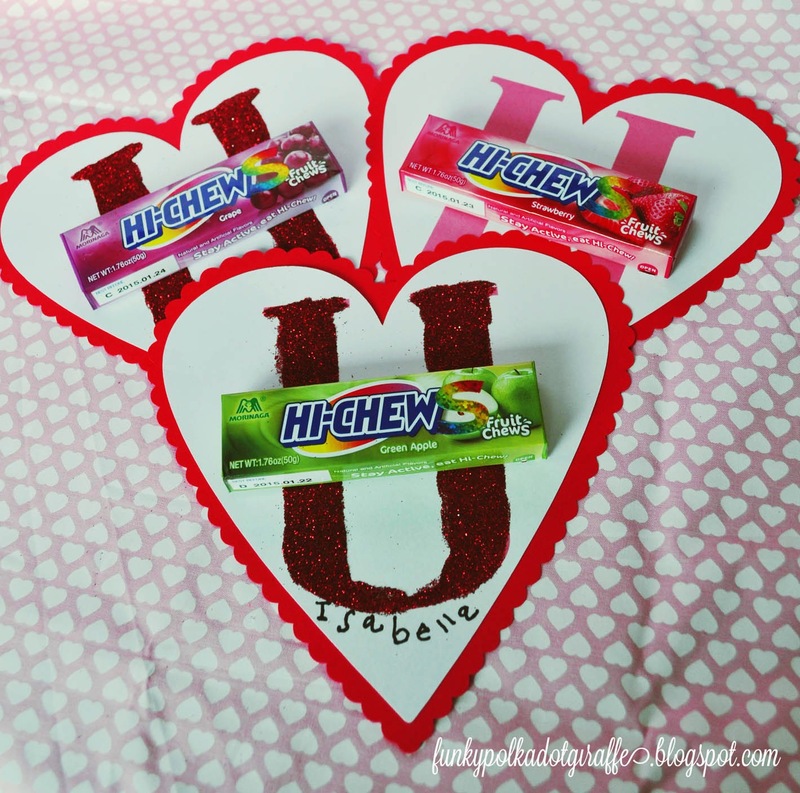 in Silhouette Studio that would pair perfectly with the yummy Hi-Chew candies. 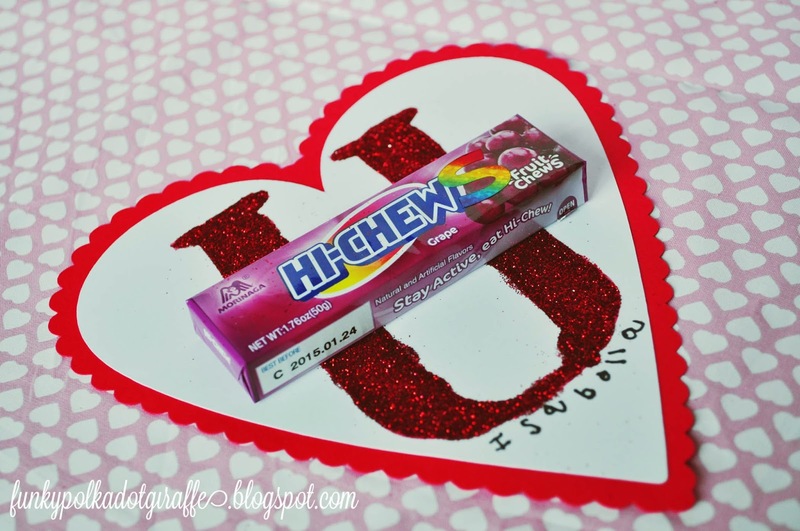 I used the same steps in Silhouette Studio as I did with my Main Squeeze Valentines. The "print and cut" option is fantastic! 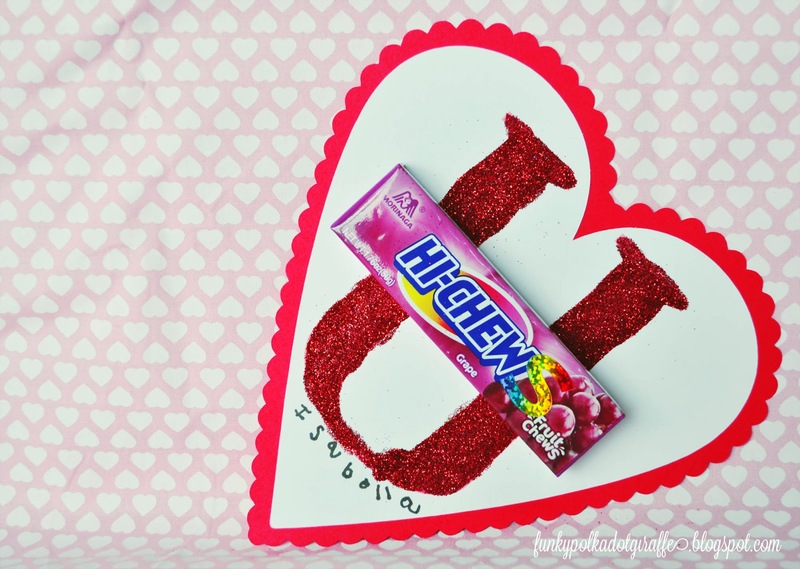 to put everything together and even hold the Hi-Chew candies to the paper. and we glittered the heck out of the "U". 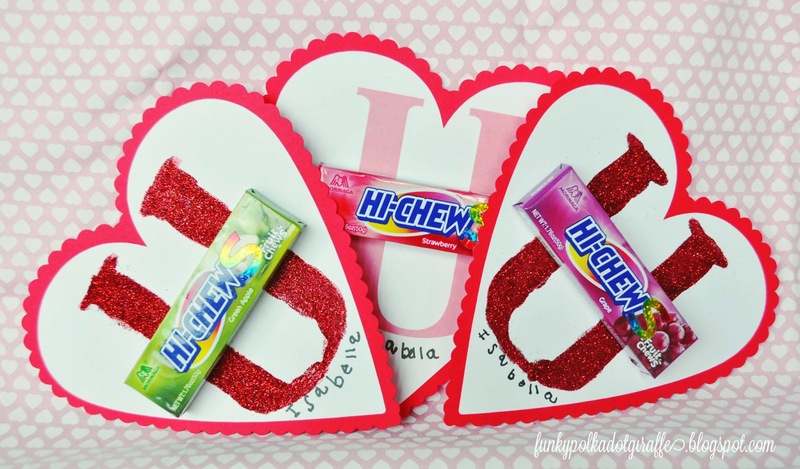 I again used the Sticky Thumb adhesive to adhere the Hi-Chew candies to the valentine. 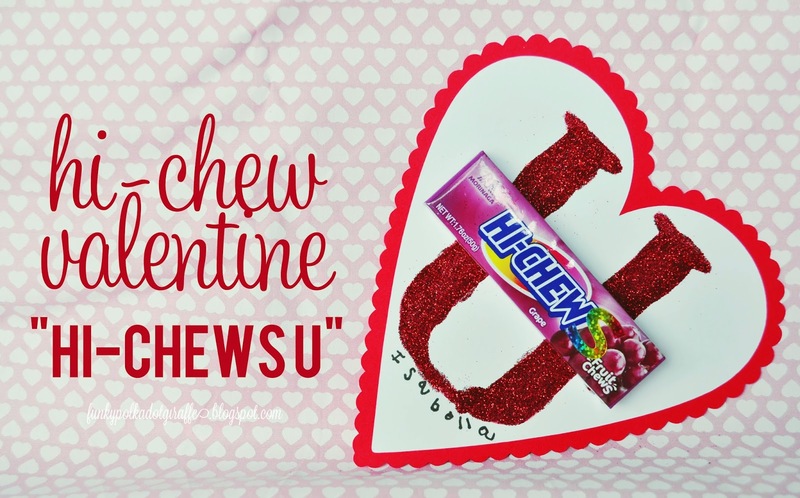 "Hi-Chews" so that the little clever saying was slightly more grammatically correct. Isabella didn't really care, but she is all about rainbow stickers. 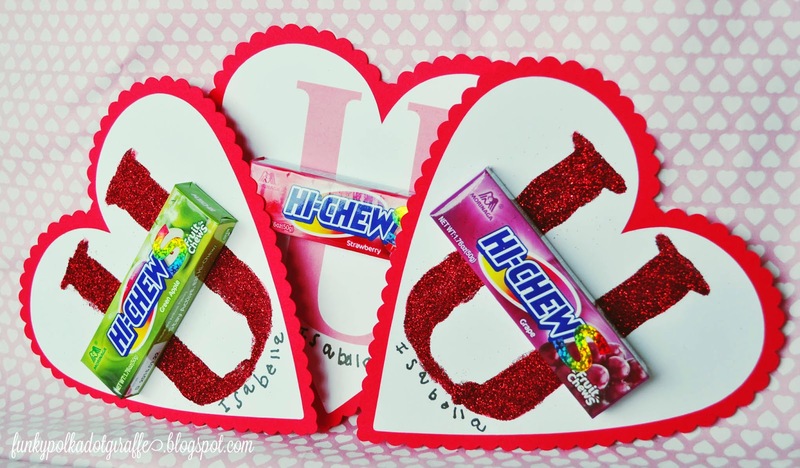 These are quick and easy Valentines to put together for a small group of preschool friends. that you can download from the Google Drive folder. that is so cute! Love that your baby was able to help with the project.